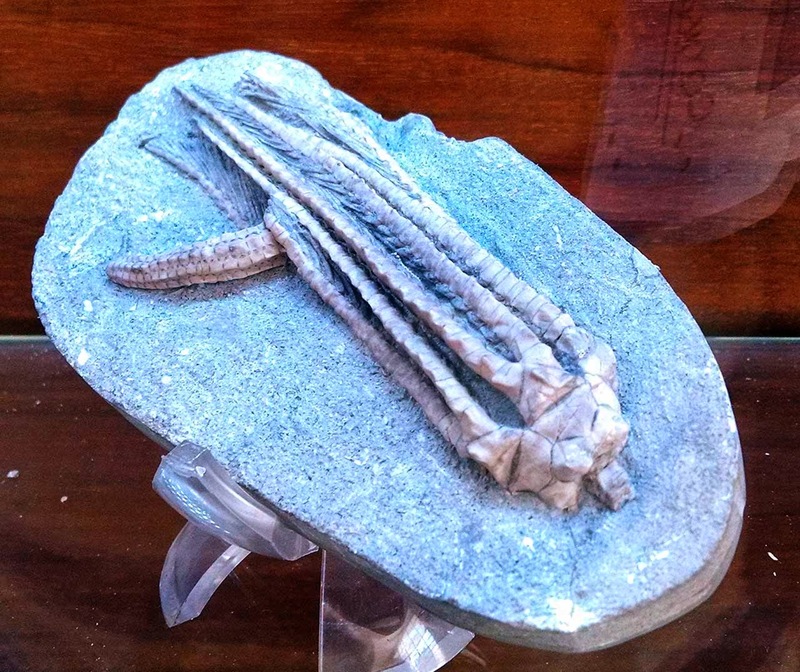 Here is a picture of a crinoid calyx fossil housed in a display case at the Geologia building located on the campus of Sapienza University of Rome. The case can be found on the second floor of the building. The crinoid fossil is called Aulocrinus agassizi. It lived in Carboniferous (Mississippian) Period. The specimen was found in the United States of America (maybe from Crawfordsville, Indiana?). Image taken in June 2014.